Explore the wonders of the water! Get ready to take the wheel & hoist the sail! 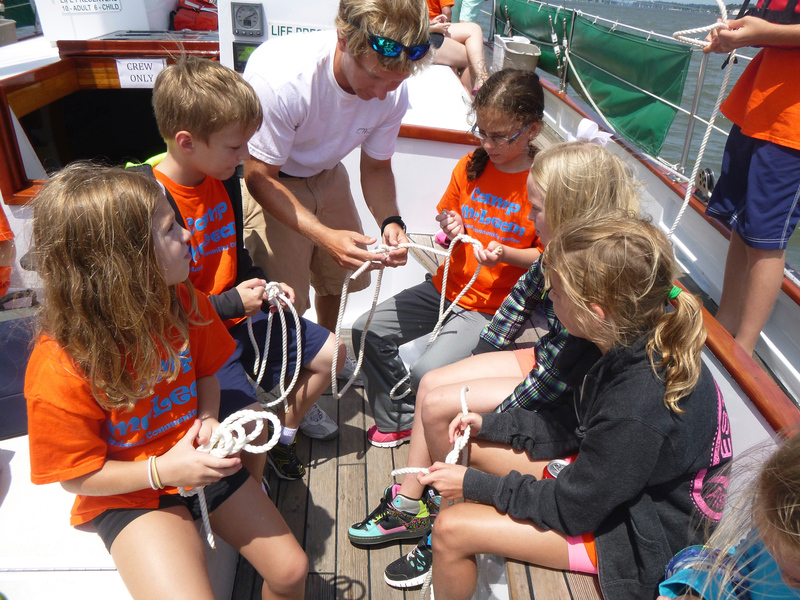 Schooner Woodwind has sailing programs for all ages. 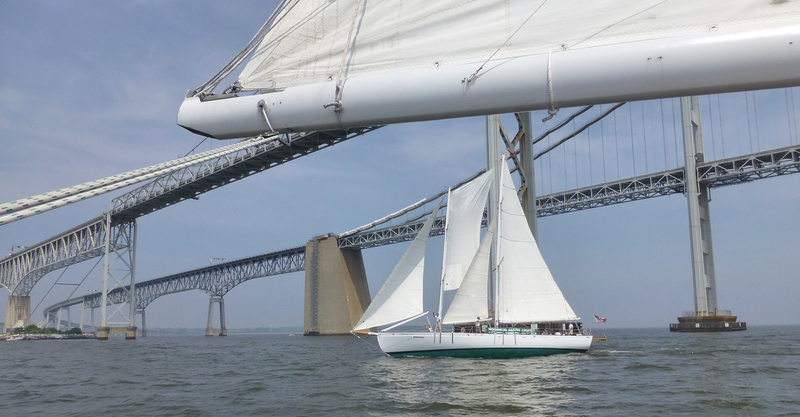 2-hour Sailing cruise departs from Annapolis, Maryland and sails into the Chesapeake Bay. Availability: Sunday through Friday during the day and on Saturday mornings. If you can fill the entire boat with 48 people, the program is available any time. All other tickets, up to 48 passengers, will be sold to the general public. On all of our interactive programs, we will have the scouts break into smaller groups to work directly with our crew members. After the safety speech, some of the scouts may help raise the sails. Our crew will educate them using a questions/answer format. This enables our crew to disperse fun facts while finding out the level of interest and knowledge in a fun and interactive way. The scouts will cycle through three different learning stations including the captain’s station. The captain will ask a question about the information they just learned. When a scout raises their hand and gives a correct answer, they will take a turn helming (steering) the boat for a couple of minutes. It is our intent to offer every scout a turn at the “helm”. If time permits, maybe the adults can take a turn at the helm, as well. Permission to Board: We will have the scouts ask permission before they come aboard. We will tell them where to stow their belongings and what to expect aboard. Staying Afloat: We have one of the scouts demonstrate to the whole boat how to correctly put on a life jacket and adjust it for their size. All Hands On Deck: During our safety speech, before we leave the dock, we discuss personal safety, what to do if someone falls overboard, if there is a fire aboard, and how to work the boat systems safely. Hoist the Sails: The scouts will have the chance to raise the sails (all four sails, weather permitting). How does a sailboat move without an engine pushing it? Why does the boat lean from one side to another? What are the names of the sails? Nautical terms of a boat. How does the boat steer? How do you give commands as captain? Every scout will get a chance to “helm” the boat. 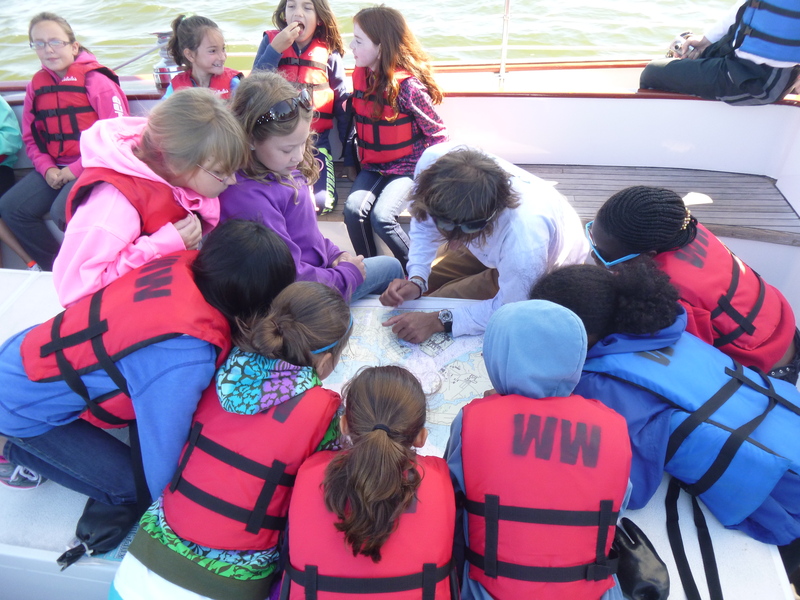 There is so much to see as we sail past the United States Naval Academy into the Chesapeake Bay. Along the way, we point out the interesting sights to everyone aboard. What to Wear: Since we sail rain or shine, bring gear so you are prepared for the conditions that are predicted ON the water – layered clothing and soft soled shoes. Saturdays, scout groups can only book earliest cruise time unless you have a group of 48 passengers (entire boat). – Rates include soda, snack, tax and gratuity. We sail rain or shine. There are no refunds or exchanges unless the captain cancels the cruise due to unsafe conditions. 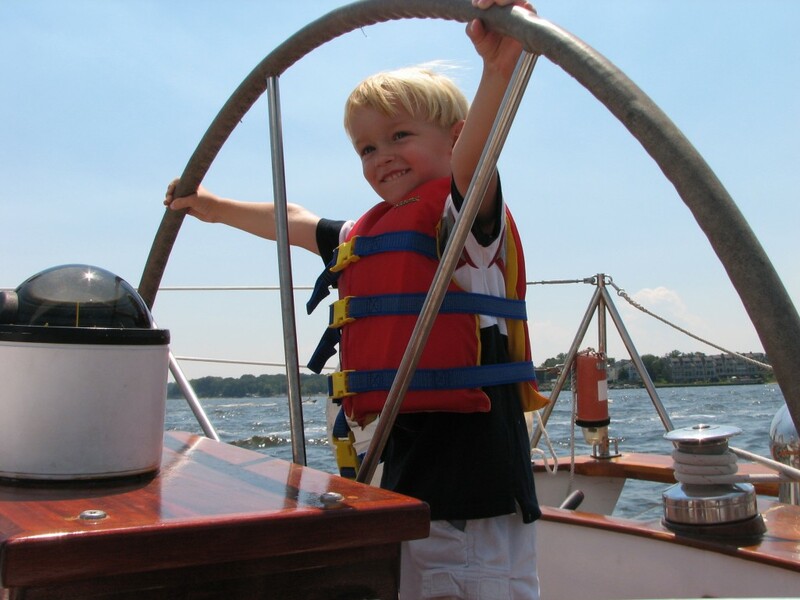 According to Boy Scout and Girl Scout Safety Procedures, all scouts, adults and other children aboard a “scout” cruise are to be outfitted in life jackets. We have purchased Type III life jackets which are more comfortable for non-emergency use. We do carry the “Emergency-Use” life jackets aboard. Call 410-263-1981, or fill out an inquiry form by clicking on the button below.